It is with much anticipation that we announce the latest member to the CSC family! The Encore! Staying true to CSC's desiging process, the new Encore's design flows impeccably with the sharp lines of the 2018 Honda GL1800. 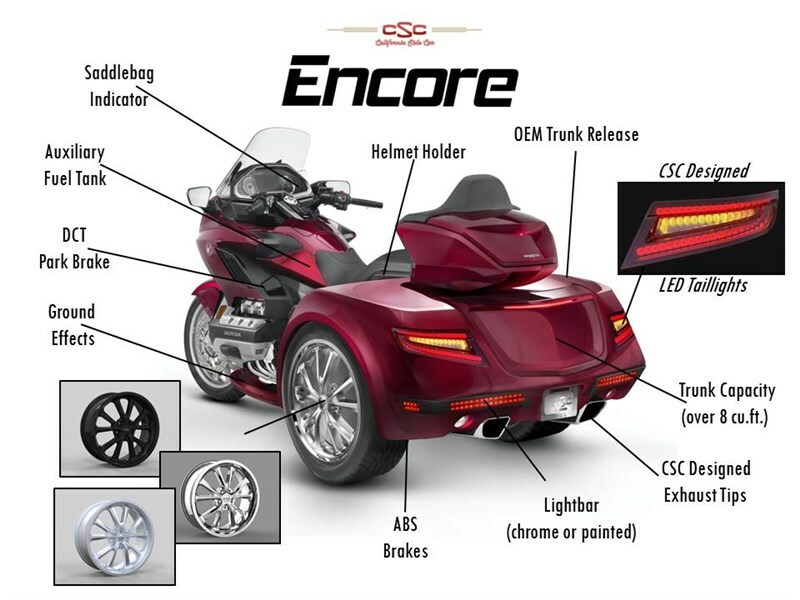 CSC designed the all new wheels, tailights and exhaust tips to match the bike beautifully. 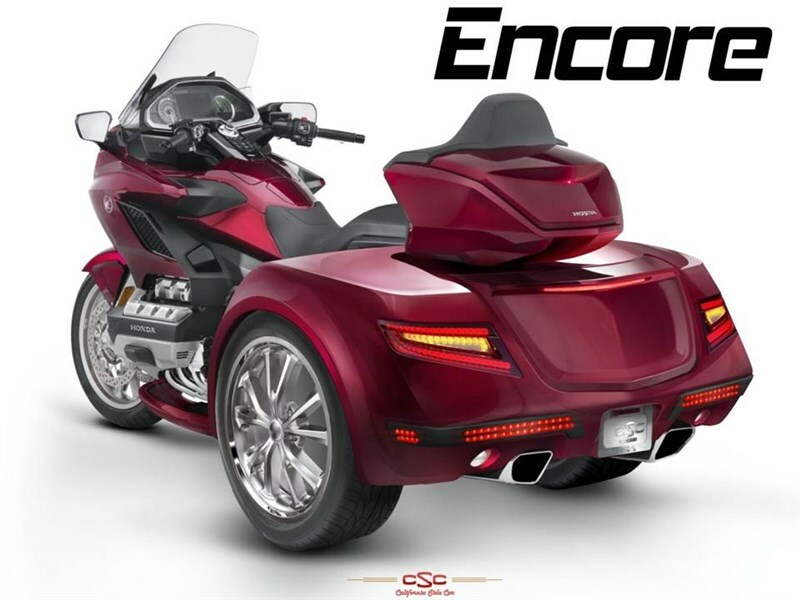 The Encore's trunk capacity is just over 8 cu.ft. Largest in the market! 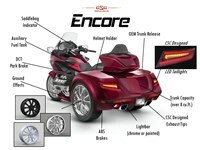 What isn't shown in the illustration is the same proven and time tested independent suspension that you always get with a California Sidecar trike. The industry leading 5 year/unlimited miles warranty attests to that. For a limited time the new CSC Encore will be priced equal to CSC's Viper. As for a production date; we are anticipating June/July 2018.